As a homeowner, when you choose to upgrade your house with stone countertops, you’re making a large investment. At Delsur Marble, we recognize this and have compiled the following tips for maintaining your quartz and granite countertops. The quicker you address spills on your countertops the easier removing them is and the less likely the spill will set in the stone. Although this point applies to all stone, it is especially important with granite. Granite is a very porous stone, which means spills left unattended are more likely to soak into the stone. Wine, coffee and tea are three examples of liquids that can stain a countertop, should they be left for extended periods of time. Regardless of the stone type, avoid using knives directly on the surface. When preparing food, always use a cutting board. Sharp knives can still cause scratches to the surface. When cleaning a spill or dirt from your countertop, avoid harsh cleaning products (e.g., bleach, drain cleaners, dishwasher rinsing agents. With granite countertops, these products can strip the seal from the surface of the countertop and leave the raw granite exposed. A granite countertop that isn’t properly sealed is more susceptible to dark spots forming from grease and oils. To avoid moisture or bacteria getting in contact with the stone, avoid putting wet pots, utensils or foods (e.g., meats) directly on the countertop surface. Utilizing cutting boards and clothes, will ensure your countertops stays in good shape for years to come. This point refers specifically to quartz countertops. Unfortunately, countertops are often exposed to a variety of substances in the form of cleaning products, food residue and grime from fingertips. These substances compromise the shine and finish of quartz. To remove grease from your quartz countertop, a degreasing agent is an effective tool. Make sure to opt for a product that is bleach free, as bleach can harm your countertop surface. When choosing any cleaning product for your quartz countertop, it’s important to remember avoid highly acidic or alkaline cleaners with both quartz or granite. If cleaning products with these ingredients do come in contact with your countertop, remove them immediately. For more cleaning tips for your quartz countertop, visit Caesarstone Care Guide. Applying these tips in your home will help you to enjoy your countertops at their optimal appearance for decades. 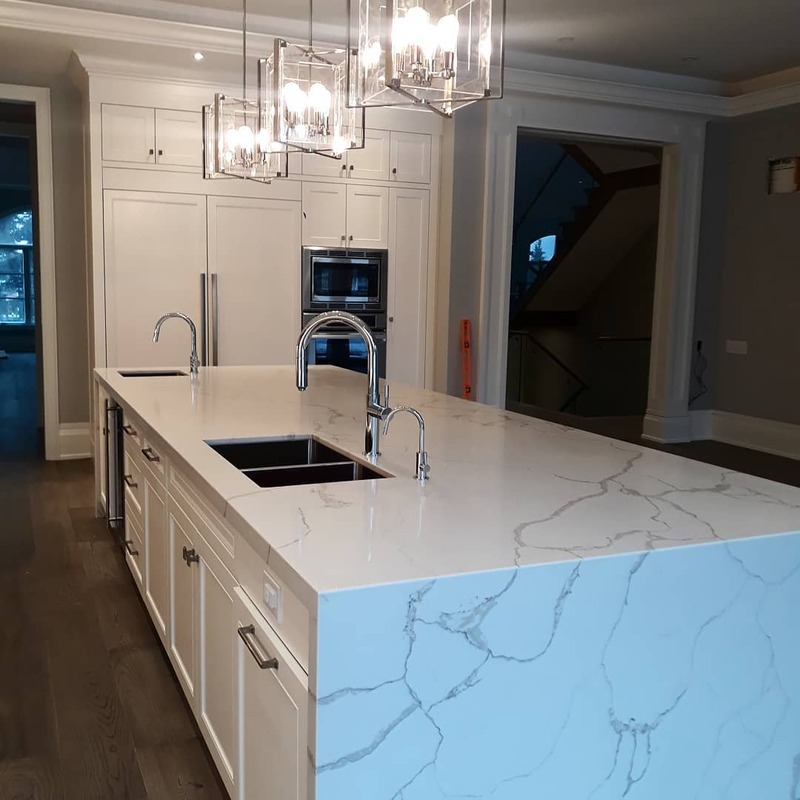 At Delsur Marble, we are experts in stone countertops and if you’re looking to have new countertops installed in your home we would love to hear from you. Click here to contact us!